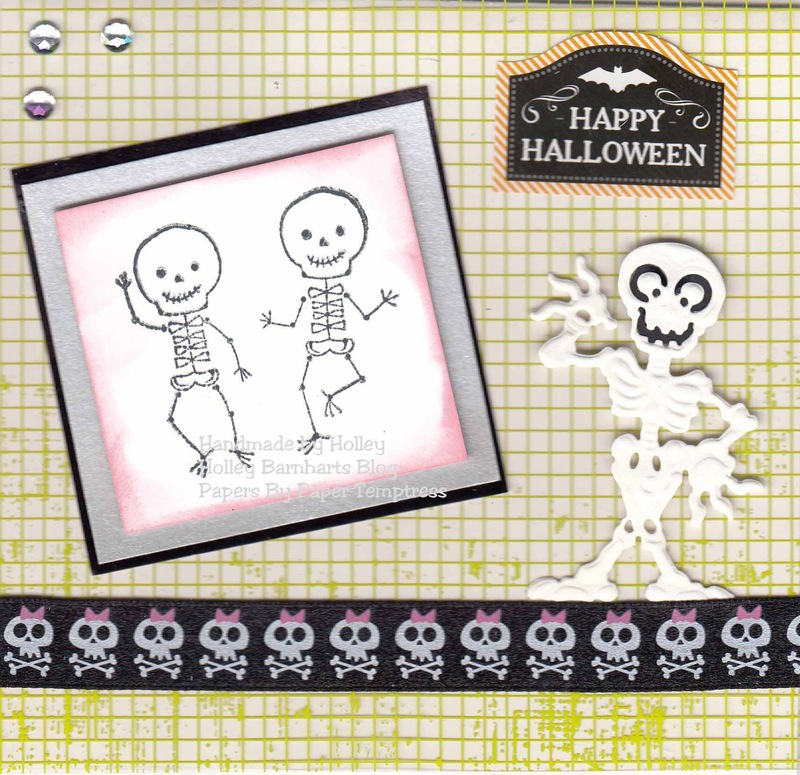 Here’s a card I made with some super cute skeletons and some great papers from Paper Temptress. I love that I can combine Halloween with my love of skeletons, but as you know, it’s never really stopped me from enjoying them on cards! The base of the card is white cardstock, Neenah solar white classic crest. If you want to make square cards but only have 8.5×11″ card stock, fold it in half and cut out a 5.5″ square card. I then added a wonderful Hambly Studio Overlay on top of it. I just love the Lime Green color for Halloween (well, let’s be honest, Halloween and many other) times. This paper is called Lime Mini Graph. I added a cute set of stamped skeletons on Neenah Solar White, layered on Silver, layered on Black glossy.